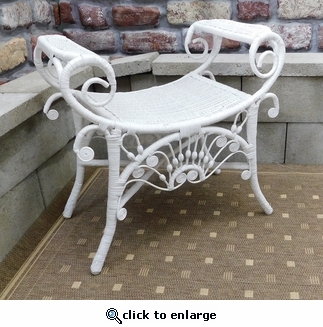 This Ornate bench would make a great addition to any sunroom or garden. Sturdy Rattan woven over a wooden frame. Available in White finish only.